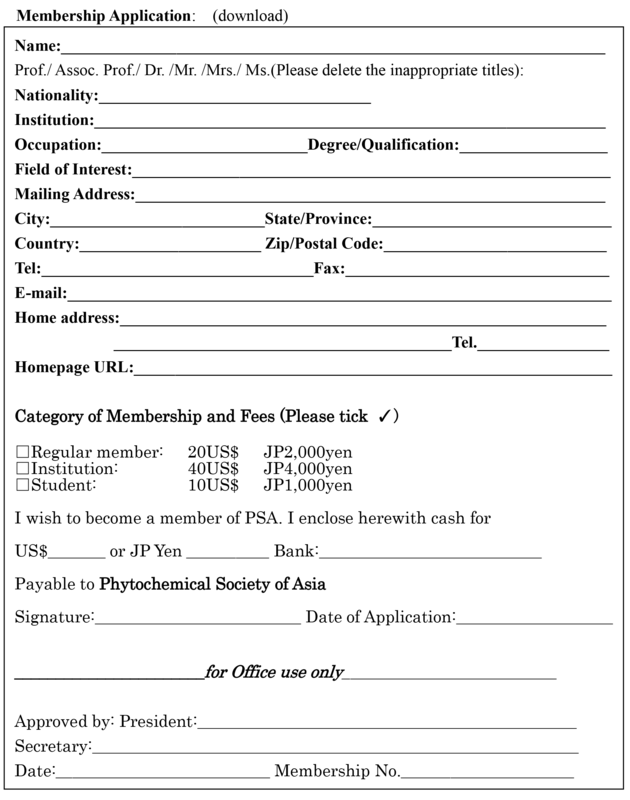 Please fill the following application and return to Dr. Hideki Miyataka (Secretary of the President) with your dues payment. Once your application has been processed, you will receive newsletters and special mailings. You are also eligible for PSA member discounts on the PSA symposium and its related series. Payment must be made in US Dollars or Japanese Yens. We are unable to accept Traveler’s checks and via credit card.